A medical marijuana business was told it can't sell cannabis in Hallowell after the city held its first ever lottery for licenses. A medical marijuana business was told it can’t sell cannabis in Hallowell, after the city held its first ever lottery for licenses. “We had a lot of patients that were excited to meet us here,” said Catherine Lewis, owner of Homegrown the Offering. Lewis signed the lease and had the products ready to go. She was waiting on a green light from the city before selling medical marijuana at the Water Street store. “We’ve already invested and now we won’t be able to open as we anticipated,” she said. Legislation passed last session gives cities and towns the ability to “opt-in” and regulate both recreational and medical marijuana locally. City Manager Nate Rudy said Hallowell did so, but decided to limit stores in the downtown. “There was some concern that real estate prices and rental rates could get inflated artificially if we allowed too many cannabis stores,” Rudy said. With three qualified applicants, but only two slots, officials also opted for a lottery. “Literally pulled them out of a hat,” Rudy said. He said the process was fair. “The businesses were not yet legal businesses under the law and so we didn’t want to create any grandfathering for them, because we want to treat them the same way we would treat any other legal business and that goes both ways,” Rudy said. 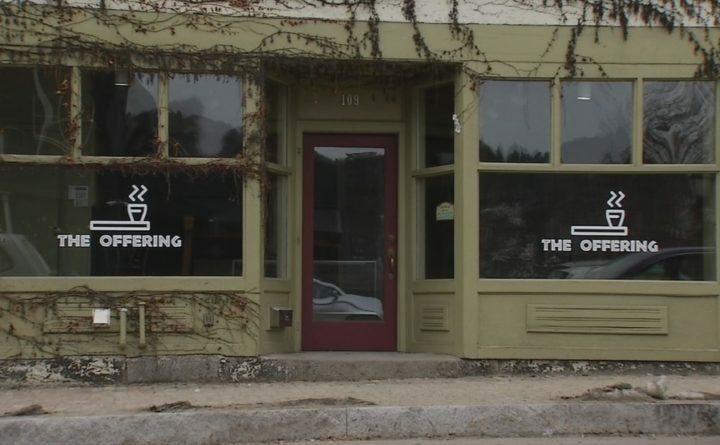 Licenses were awarded to Cannabis Healing Center, which opened on Water Street in 2017, and Kennebec Cannabis, which plans to move into a nearby building. “We’re disappointed, obviously,” Lewis said. Lewis said she’s not bitter, but believes municipalities should consider applicants based on quality instead of luck. In the meantime, she plans to stay open selling CBD supplements, which are legal and don’t have the compound that gets users high. Licenses have to be renewed every year. Rudy said a lot could change in the future as lawmakers still have to determine how to regulate marijuana for adult use.